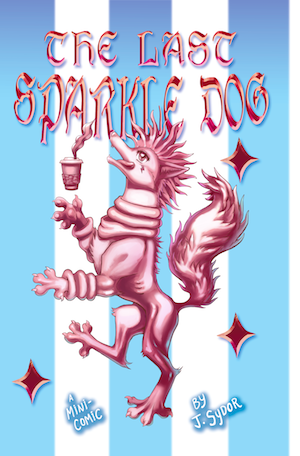 The Last Sparkledog is a mini-comic featuring the supposed ‘last’ Sparkledog and her quest to find where the last of her kind have run off to, in a fun send-up of The Last Unicorn and parody of one of the most ubiquitous sub-genres of art to be found on the internet. 8 pgs. Suitable for children of all ages.